Mason joined the Laurance Lab as a Post-doc after completing his PhD in 2016. He has worked for an environmental consultancy as a botanist and environmental scientist examining flora in the Highlands of Papua New Guinea, the tropical savannahs of Cape York Peninsula and Far North Qld. He has also worked for the Australian Tropical Herbarium in Cairns, and C.N.R.S. in the French Alps and the C.S.I.R.O. studying the temperate grasslands of NSW, VIC and ACT. Reuben’s research interests include animal behaviour, biogeography, conservation, ecology, evolution and taxonomy of threatened organisms and ecosystems within Southeast Asia. His PhD thesis will examine the impacts of roads on mammals and people in Southeast Asia, with his field project sites situated throughout Peninsular Malaysia. From his research station, he will conduct mammal surveys involving indirect and direct sign surveys to investigate whether highway viaducts are beneficial or detrimental to threatened mammals in the Kenyir wildlife corridor – this chapter will constitute the bulk of his PhD thesis. Reuben joined JCU from WWF-Malaysia, where he managed the Malayan tiger and the Sumatran rhinoceros conservation projects in Peninsular Malaysia. In that time, he formed an anti-poaching team and supervised large mammal monitoring surveys in protected areas and selectively logged forests. Brett studies arboreal amphibian and reptile communities in Singapore and the Philippines. He is interested in how communities vertically structure in tropical rainforests and how this structuring changes across elevations. He also recognizes that the global climate is undoubtedly changing. The impact of climate change on ectotherms (amphibians and reptiles) will largely depend on their ability to find cool refuges that buffer abnormally high temperatures. Therefore, Brett is also interested in above-ground thermal refuges for arboreal animals. Dr Weng currently works as a Post-doctoral research fellow at the School of Public Policy and Management at Tsinghua University in China. She holds a PhD in Environmental Science from James Cook University, Australia. Her research focuses on sustainability and development, particularly looking at China's new role in acheiving 2030 sustainable development goals adopted by the UN in 2015, through China providing foreign investments and aid developing countries such as Africa. She has extensive field experience in developing countries including Africa and Southeast Asia, has published several papers in international academic journals. and presented her research at international conferences in Cameroon, Australia, US and China. Fabio spent a year with the Laurance Lab team at JCU Cairns. He is very interested in community ecology, bio-monitoring and biodiversity conservation. In this way, his studies converge to general questions involving species co-existence at different scales and underlying processes and mechanisms. He views the concept of coexistence as a central challenge for the Millennium, because it doesn’t involve only questions about how diversity is originated, but also how it can be maintained, including how humans can share the living planet with other species. My central goal as a research scientist is to find ways to use data we already have to answer what I feel are some of the most important questions facing nature conservation today. I've worked on freshwater, marine and terrestrial systems, at local, national and global scales. Unifying this diversity of research is the central theme of tackling questions pertinent to ongoing efforts to converse imperilled biodiversity. To identify these questions, I often work in partnership with conservation practitioners. At present I am particularly interested in understanding how ecosystem services and incentives, such as payments for Reduced Emissions from Deforestation and forest Degradation (REDD+), can be used to leverage support for conservation. In my research, I use tools from ecological economics, spatial modelling, decision science and meta-analyses. 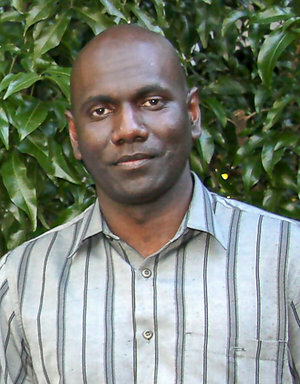 Dr Eric Katovai now works at the University of the South Pacific in Fiji as a Senior Lecturer in Environmental Science. His current research engagements cover themes on Biodiversity, Climate change, Community and Restoration Ecology, and Land use changes and landscape management in Tropical forests in Southeast Asia and Oceania. His research interest spans from examining biodiversity, vegetation dynamics and ecosystem functioning in human-altered landscapes to land-use management and restoration of highly degraded forests in Oceania. Dr Katovai has published a number of scientific papers and also a reviewer in a number of high impact International and regional Journals. 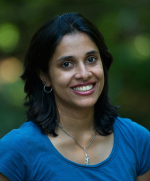 Dr Katovai received a PhD in Tropical Ecology from James Cook University (Australia) in 2016. My research interests are mainly focused on the impact of human activities over natural ecosystems. I am mainly interested on the changes in land use, such as the fragmentation and destruction of forests due to logging activities both in tropical and temperate areas. I am especially interested on the effects that these processes have over the interactions between species, both mutualistic and antagonistic (e.g. pollination, seed dispersal or predation, herbivory, parasitism…). In addition, I find it important to include the spatial component carrying out spatially-explicit models. During my PhD I had the opportunity to work in contrasting environments that included Costa Rica, Mexico and Brazil. Most of the experiments for my PhD were carried out in the island of Chiloe, located in the southern part of Chile. Here I studied the impact of forest loss over plant-animal interactions that included seed dispersal by birds and pollination by a native hummingbird amongst others. David Edwards joined the Laurance lab in 2011 after having spent five years with research positions at Princeton University and the University of Leeds. David received his Ph.D. from the University of East Anglia, Norwich, in 2005, where he was supervised by the esteemed Doug Yu. He worked on ant-plant mutualisms in Amazonian Peru, investigating why such interactions persist despite the potential for partners to defect as a cheater. David’s current research interests are identifying the impacts of land-use change on biodiversity. He focuses on two predominant forms of forest disturbance—selective logging and conversion to oil palm. He has highlighted the high biodiversity value of degraded forests and the low biodiversity value of oil palm. He combines these ecological data with economic costs and benefits of different management strategies to identify opportunities for biodiversity protection at minimal financial cost to conservation.